Each year Redditor glyntheelf and his friends have an Arnie Night where they watch Arnold Schwarzenegger movies. 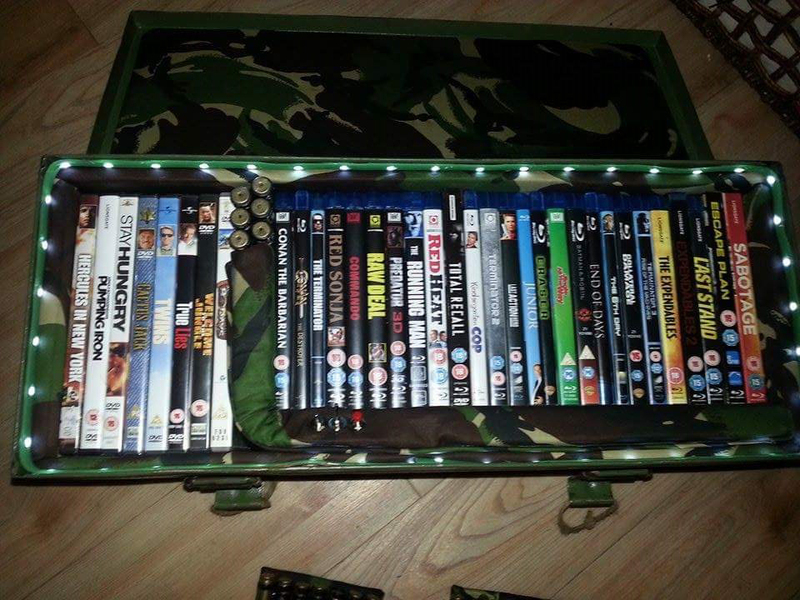 So glyntheelf made a case to transport the DVDs and Blu-ray discs. 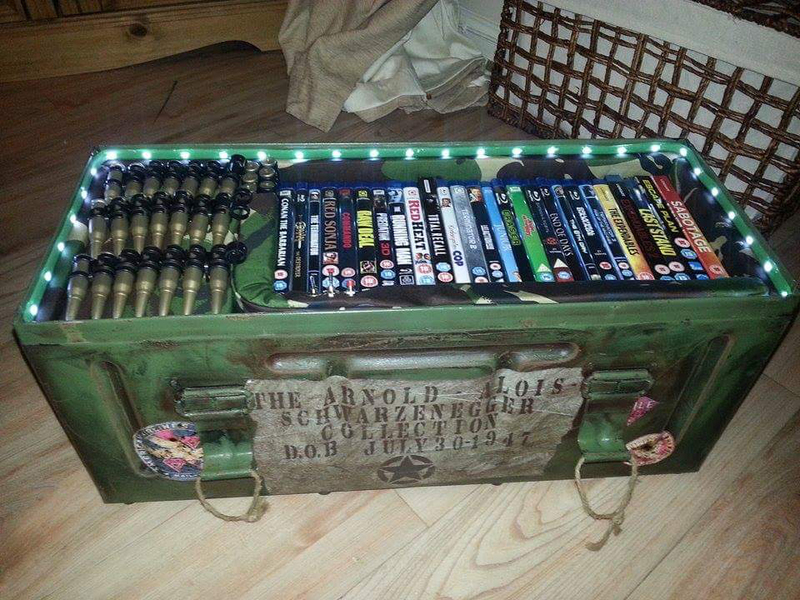 It’s an old ammo box that he repainted and weathered, then spiced up with lights and sound effects. Glyntheelf says it plays Arnold quotes when opened, such as “It’s showtime”, along with the Terminator music. 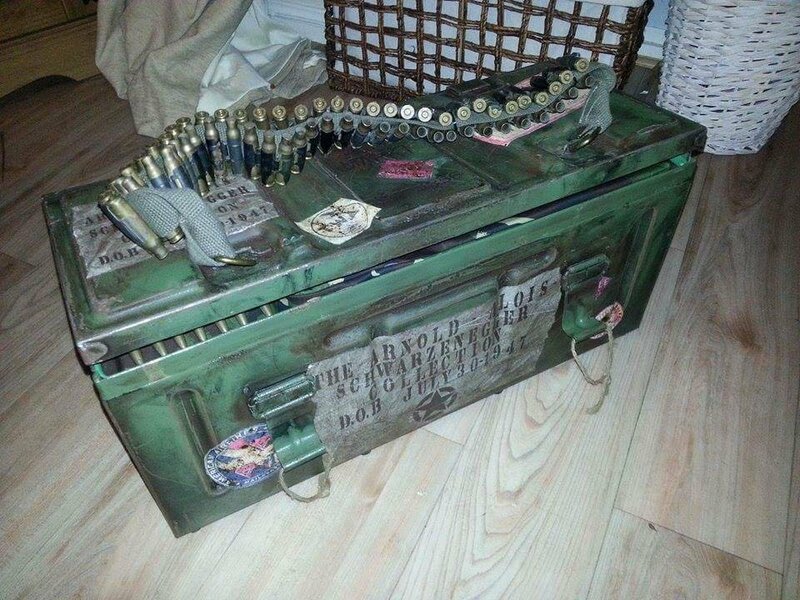 The case has a bullet belt as a strap, and the discs are covered with a fake layer bullets on top as well. Glyntheelf used yoga mats lined with camo fabric to protect the discs. 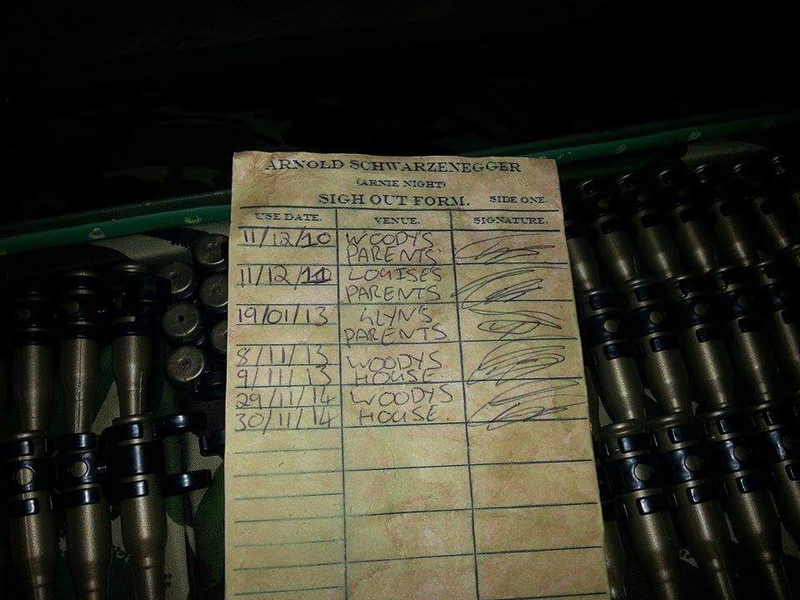 Finally they have a sign out form to mark the dates and location of their Arnie Nights. If all of that still makes you doubt glyntheelf’s love of Arnie, know that he has Batman & Robin in there, and in Blu-ray no less.